Bugfix: Quick look using spacebar working again. Bugfix: Docking position in rare cases not saved. Added "Quick Look"-support. Press spacebar while files are selected. Added Copy/Paste Support. Use CMD-C and CMD-V.
'Enter' key now opens the selected file. Fixed an issue which could cause a crash. Fixed an issue where the toolbar buttons stayed disabled. 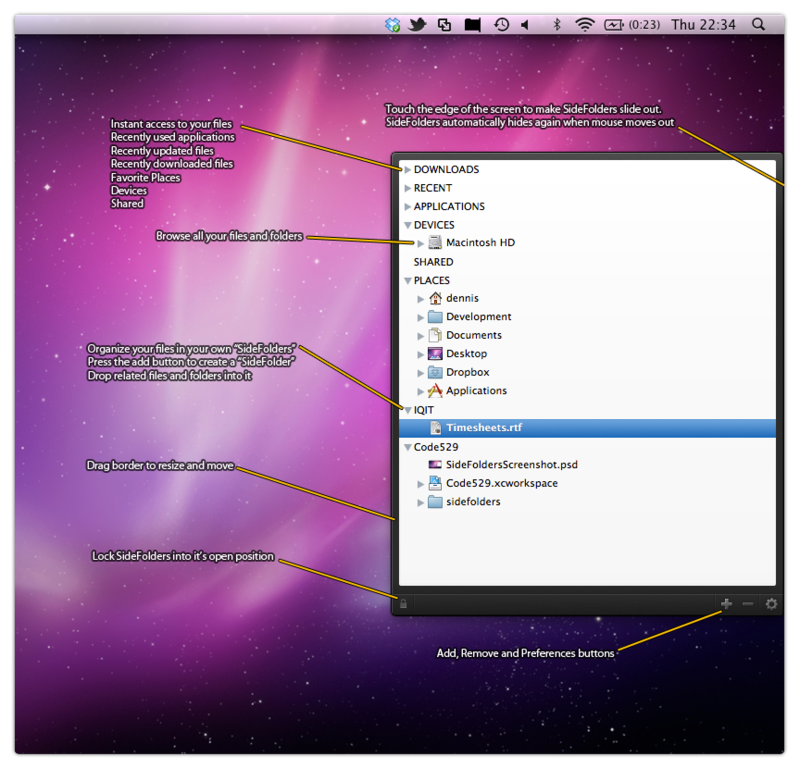 added option to disable automatic expanding of folders while dragging. fixed an issue where scrolling could also scroll the underlying window. fixed an issue where 'a' could become the hotkey for SideFolders.